Bonded Business Services (BBS) is a premier billing and debt collections agency headquartered in Boulder, Colorado. Established in 1952, BBS proudly serves the Rocky Mountain region, while also having the ability to reach out to bill and collect in all 50 states. BBS specializes in providing full-service billing and consumer debt recovery programs that have been fully optimized for all parts of the revenue cycle, including medical coding, insurance claims processing, deductible recovery, bad debt collection, skip-tracing, and legal support. BBS has a proven track record in achieving high recovery rates, working well with consumers on the clients’ behalf, and regularly going the extra-mile to provide top-tier support to all of our clients throughout Colorado. BBS provides an elegant and efficient system to collect the patient portion due on billing accounts. In addition to notices we send, frequent conciliatory telephone communication with clients is utilized to create payment arrangements, and our systems and processes are designed to ensure that the payment plans are honored and carried out until the balance is paid in full. The self-pay services are a strong last line of defense, and they have the desirable effect of sharply reducing the number of accounts that go to full collections, as well as the need to go to full collections. 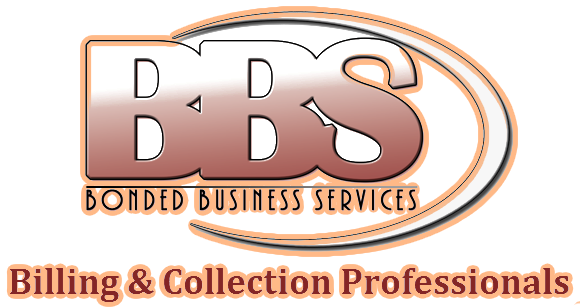 With over 50 years of experience in collections and a staff with more than 150 combined years of combined collection expertise, BBS possesses a highly skilled collection department that is ready to handle tough accounts that require more work to be recovered. BBS’s collectors work hand-in-hand respectfully with the debtors to work out solutions to getting the debts paid off in full as soon as possible. BBS reports to the major credit bureaus and utilizes robust skip-tracing techniques to locate consumers that might have relocated, while also finding assets that our clients can effectively take legal action on. With an in-house legal team, BBS has the ability to garnish wages and bank accounts, and also to file liens on real property as further means of collecting. BBS works relentlessly for clients with the aim of getting accounts collected in the shortest amount of time possible. Each and every consumer is treated with friendliness and respect, and we always strive to work hand-in-hand with the consumers to get their bills taken care of promptly. BBS is also extremely dedicated to providing world-class collections service that exceeds expectations, making sure our clients are satisfied throughout every aspect of the process. If you could use some improvement in your billing or collection situation or process, we have everything in place to be successful for your company, and we respectfully desire a chance for a discussion about the possibilities of becoming the most effective billing and collections partner possible for your business. We look forward to hearing from you. Contact us today about your collections needs.